The number one prospect in the country James Wiseman has verbally committed to the Memphis Tigers. The Tigers beat out Kentucky, Kansas, Florida State, and Vanderbilt. Memphis head coach Penny Hardaway coached Wiseman during AAU for Team Penny and in high school for Memphis East (T.N. ), which clearly helped his case in landing the 7’0” standout. Wiseman spoke to Prep Circuit earlier this year on what he liked about the Memphis Tigers. Time to state the obvious here: James Wiseman changes everything for Memphis. When Penny Hardaway got the head coaching job, everyone immediately thought of his connection to Wiseman and how he can possibly bring the big man with him in a year. Well, Hardaway delivered. He adds Wiseman to a crop of 2019 prospects that includes high school teammate Malcolm Dandridge and Bluff City Legends teammate DJ Jeffries. Penny has started off with quite a recruiting class, and it's unlikely he's done with his first recruiting class. There is a reason why Wiseman is considered the number one prospect in the nation. With his physical tools, 7-foot frame, high-level athleticism and an ever-growing skill set he separates himself from others in his class. The big man position is changing with either skilled big men or defensive minded big men excelling. Wiseman fits right into both of those molds and still has so much more room to grow. He is a game changer for any program and will make a giant impact when he arrives at Memphis next season. Wiseman and his Memphis East Mustangs will head to Landers Center Arena this evening in Southaven, Mississippi to take on fellow Kentucky commit DJ Jeffries. Wiseman and Jeffries were teammates in the NIKE EYBL for the Bluff City Legends, and will face off tonight one last time as foes. 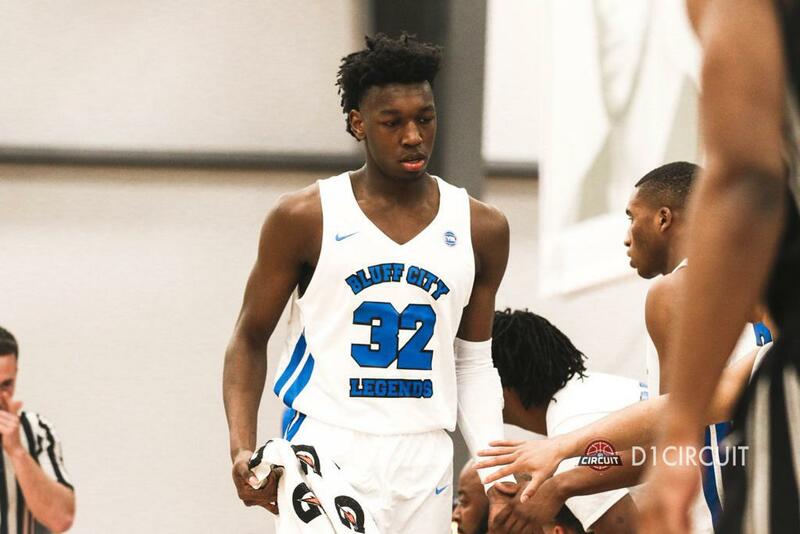 Senior big man Malcolm Dandridge was the first 2019 graduate to commit to Hardaway, and Dandridge also played for the Bluff City Legends this spring. Wiseman, Jeffries and Dandridge combined to put up per-game averages of 38.2 points, 19.3 rebounds, 3.2 assists, 2.0 steals & 3.6 blocks for the Legends.